Are you troubled by obsessive and negative thoughts that can only be neutralised by a repetitive, compulsive activity? Obsessive-compulsive behaviours are quite common, but in some cases those urges can take over our lives. Come speak to our team about your therapy options for obsessive compulsive disorder. Obsessive compulsive disorder is where an individual has obsessive thoughts about things and compulsive activity. These thoughts and activities are often unwanted and unpleasant for the individual. The individual will have a ritual in which they feel they have to repeat the behaviour several times, often in fear that bad things will occur if they are not repeated. Obsessive Compulsive Disorder can vary in its severity with the most serve cases causing individuals to become highly anxious and worried. If you believe you have any of the symptoms stated above it may be worth looking into therapy. Our team at The Blue Tree Clinic are here ready to listen and help you beat your OCD and get you on the road to recovery. What are the types of Obsessive Compulsive Disorder? Therapy can look into discovering the causes of your Obsessive Compulsive Disorder as well as helping you to cope with your Obsessive Compulsive Disorder via the use of techniques and tools. The therapy can help you to overcome your compulsive need to repeat behaviour and learn how to prevent your compulsive behaviour from occurring. Types of therapy offered for Obsessive Compulsive Disorder at The Blue Tree Clinic? It may be that our team believe you would benefit from medical help as well as therapeutic help in which case we may suggest private psychiatric treatment where a psychiatrist will assess you and decide whether physical tests or medication would help. Obsessive Compulsive Disorder has been shown to be successfully controlled by SSRI’s (selective serotonin reuptake inhibitors) by reducing your symptom. Our psychiatrists may feel that medication can aid your road to recovery. 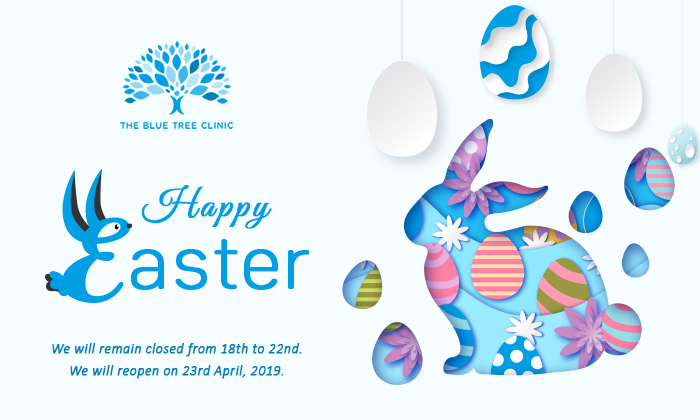 At The Blue Tree Clinic our aim is to help you. Our therapists know that Obsessive Compulsive Disorder can be hard to live with and so we want to help you. Upon assessment our therapist will look at your symptoms and try to discover the underlying reasons behind your Obsessive Compulsive Disorder. Based on this our therapists will look into finding the best therapeutic solution for you. This may come from one therapy type or multiple. Via the use of this therapy your therapist will help you to overcome your obsessive compulsiveness and find techniques which work for you. During this process the therapist will ask you to take what you learn in the therapeutic environment and apply it to your everyday life. In addition to this your therapist will help you to learn to deal with your Obsessive Compulsive Disorder once the therapy is completed.